I am here linking up with Miss Monica over at I Heart Grade Three for her summer weekly link up, and this week's topic is our guilty pleasure! Now I have been know to have one or two, and one of them involves the happiest of hours, but this is a teacher blog. So my list is short, and that's mostly because I don't have a ton of free time. I LOVE a good latte. I do not need a latte. I like regular coffee just fine. I really do. And I don't like paying $5 for a latte. But on a Saturday morning when The Hubs is at work. I am all about that ridiculously priced/over sugared/awesome latte. This guy. I finally convinced The Hubs that I needed one... so here it is in front of me and I cannot peal myself away. 27" of spectacularness. I find myself looking forward to working just so I can be using it. There are no words for how awesome it is. None. And actually, while I have you all here. I cannot seem to be able to "save as pictures" on this new version of PowerPoint. Any idea where that option has gone or how I find it? THIS. If you have not tried it, you better just grab your purse and head to the store. Oh. My. Goodness. Talenti Gelato, and my personal favorite Southern Butter Pecan, is where it's at. That's it my friends! What are your guilty pleasures? 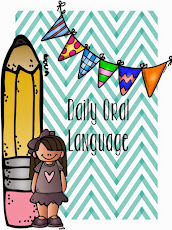 Link up with Miss Monica over at I Heart Grade Three and tell us all about it! Thank you for participating in my linky! It is great to have you join in the fun! I am Canadian and I love coffee - but I choose Tim Hortons over Starbucks! I have a serious Tim Hortons addiction - so much so that my husband thinks I should be buying shares in the company! My students all know about my obsession - for Christmas and end of the year gifts, I receive A LOT of presents and gift cards from Tims! It's always a winner with me! We don't have Starbucks here - sad I know - (or Tim Hortons for that matter). But, the other day my Husband came home with a Nespresso machine and I am seriously hooked! Now I have to hold myself back from making a coffee every 25 minutes! That ice cream sounds absolutely delicious!